This article describes the video recovery specifics for R-Undelete. 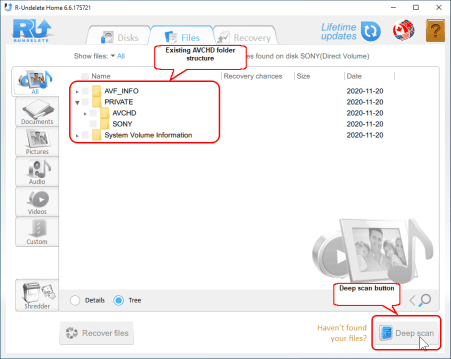 You may read the general information about video recovery and its procedure for R-Studio in our HD Video Recovery from SD cards article. Important: Please, note, as the SD cards are FAT-formatted, you may use even an unregistered copy of R-Undelete to recover your videos. R-Undelete can create an image of the card while performing a read-only scan of the disk's data. This is a deep scan that provides a thorough analysis of the card's data. This analysis will be necessary to recover the videos. As such, each video recovery scenario begins with an R-Undelete disk image creation and scan. 1. 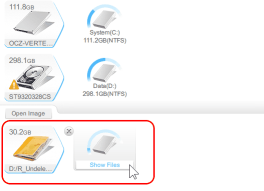 Right-click the memory card on the Drives panel and select Create Image on the shortcut menu. 3. From the Scan Information tab, select the Create scan information file option. Make sure that FAT/exFAT is selected for File System. If not, choose FAT/exFAT from the Change… drop-down list. R-Undelete will start creating the image and scanning the data. The progress will be shown. 7. To load the image and scan info in R-Undelete, click an empty place in the main panel and select Open Image on the shortcut menu, and browse to the image file from the path specified in Step 2. When the image is loaded, select the disk in the image and click the Next button. Select Open detailed scan information file and click the OK button. The Scan Information panel will appear. 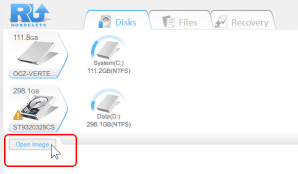 Click the Next button and go to the files and folders of Disk F: in the image. Fig.9. 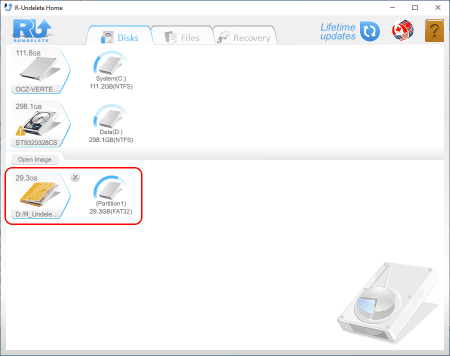 Files and Folders on Disk F: in the image. When you delete a video clip directly from your camcorder, it not only removes the video content (the .mts file), it also removes the information about various other files and indexes. When you recover a video file that was deleted in this way, it will usually be recovered without this additional information. 1. Scan and create an image of the memory card and load the image into R-Undelete. See the Create a Disk Image and Scan of an AVCHD Memory Card section above for specific steps. 2. Go to the STREAM folder. You may need to expand some of the folders to find the STREAM folder. For the Sony card used in this example, STREAM is located in F:\Private\AVCHD\BDMV\. 3. Locate the deleted video clip files in the Contents pane, mark them for recovery, and click the Next button. 4. In the Specify Recovery Options panel, specify the output folder for recovered files and click the Recover button. Leave the other parameters at their default values. (For more information on these parameters, see the R-Undelete On-line Help documentation). 5. On the Broken File Name dialog, select Change all Invalid symbols to: and specify a value for the first character ($ for our case). Click the OK button. R-Undelete will start recovering files, showing its progress and results. Fig.14 show three files: one unsuccessfully recovered video clip and two successfully recovered video clips. In our case, the unsuccessfully recovered file most likely was overwritten by a new video clip. 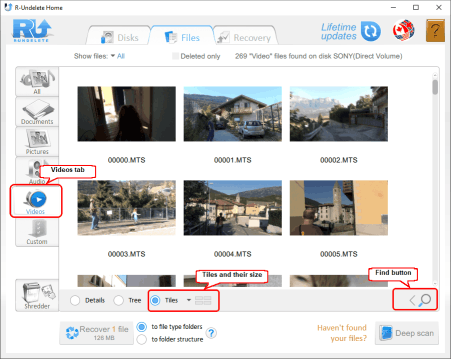 Nevertheless, depending on the capacity of the card and how much free space was on the card prior to formatting, it may be possible to recover some or all of the deleted .mts video clip files. This can be done using the scan for known file types operation in R-Undelete. Once the .mts clips are recovered, they can be converted, imported into AVCHD authoring software to recreate their folder structure, or played by a third-party video player such as VLC. 2. Go to the Extra Found Files. Then, select the MPEG Transport Stream Video folder. Fig.19 shows a recovered video clip. 2. Browse through its file system to locate the AVCHD folder structure, mark the found folders, and click the Next button. 3. 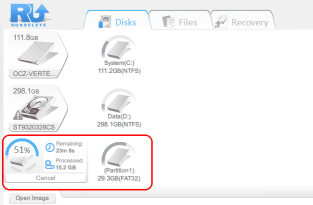 In the Specify Recovery Options panel, specify the output folder for recovered files and click the Recover button. 4. On the Broken File Name dialog, select Change all Invalid symbols to: and specify a value for the first character ($ for our case). Click the OK button. 5. 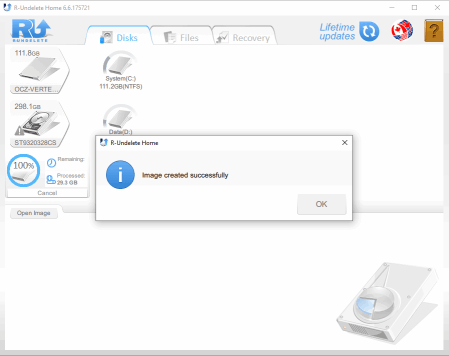 When the recovery is complete, browse to the output folder selected in Step 2. 2. Go to the STREAM folder, mark it for recovery, and click the Next button. You may need to expand some of the folders to find the STREAM folder. For the Sony card used in this example, STREAM is located in F:\Private\AVCHD\BDMV\. 6. 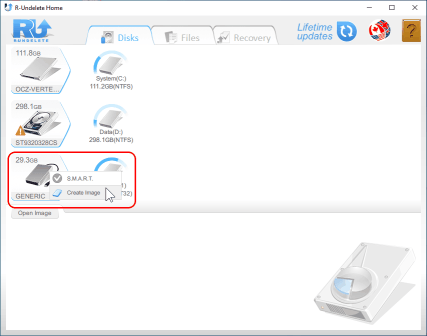 When the recovery is complete, browse to the output folder selected in Step 3. Compared to analog video tapes, restoring accidentally deleted videos from a digital camcorder is much more feasible. 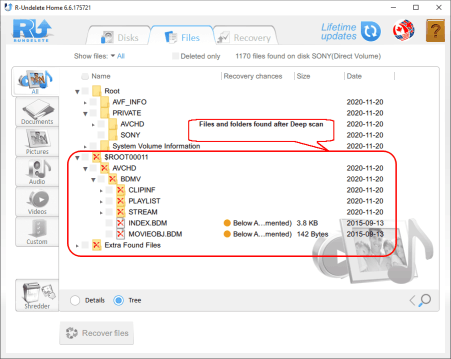 You can use the same data recovery methods on a camcorder memory card as you would for accidentally deleted files or formatted drives on a computer. The principle challenge of recovering video is understanding the AVCHD file structure and identifying which files need to be restored in order to undelete or recover your video files. With some basic file recovery knowledge and the steps illustrated above, you can successfully recover lost video data with relatively high success using R-Undelete.